It is her first major label record – it also, accidentally, was her big record. I don’t think she thought 'O Superman' was going to reach number two. I don’t think anyone would have thought that. I remember being transfixed on hearing that song. All of Laurie Anderson’s trademarks are fully formed in the material. It points backwards to her more experimental art and goes forward to the more song-based thing. It has everything in it and just resonated with me. This was 1982 – the era of neoliberal Thatcherism. An incredibly bleak time, actually. And all that paranoia, anxiety and doubt seemed to come through in the record. Obviously they were going through a parallel situation to the one we are experiencing today. More liberal, left-leaning positions had been rolled back for this technocratic neoliberal project. 'O Superman' starts off with someone talking about the listener being on a plane and it’s crashing – and that’s where we are. It is very prescient, very forceful, very clever. I loved the way she plays with found objects, text and electronics. The song forms are just incredibly creative. 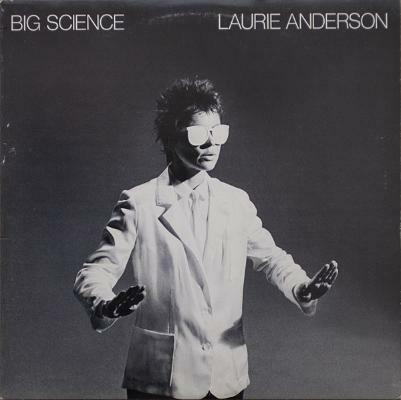 As with a lot of people, Laurie Anderson has her basic subject matter. Some people go everywhere talking about all kinds of different things. She basically has her subjects. They’ve been the same forever. You feel she’s digging deeper and deeper into it somehow. She is just a very impressive creative thinker.